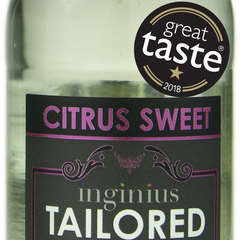 Inginius Tailored Tonics - hand-crafted tonic waters lovingly made in small batches to complement and enhance fine gins. 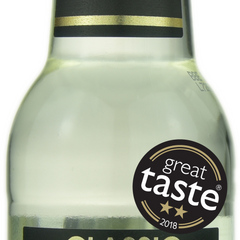 We're delighted to announce that both our tonics won stars at the Great Taste Awards 2018 - one star for the Citrus Sweet, and a fantastic two stars for the Classic. Here are some comments from the judges:“Superior tonic”“A tonic that will really let the gin’s botanical notes shine through.”“Would complement the finest gins on the market”“Lovely light refreshing tonic”“Beautifully carbonated”Our Classic Tonic pairs beautifully with (London) Dry gins to bring out rather than overpower the botanicals used in the gins' distillation process.Our Citrus Sweet Tonic is designed to complement and enhance sweeter and citrus led gins - less quinine, more subtle botanical ingredients.Both tonics made with real peel and natural ingredients, and contain 6.4g of sugar per 100ml.